NHS England, NHS Digital, Department of Health and Social Care, and Stemettes invite you to a celebration of women in STEM. The event will be hosted by Head Stemette, Dr Anne-Marie Imafidon MBE. 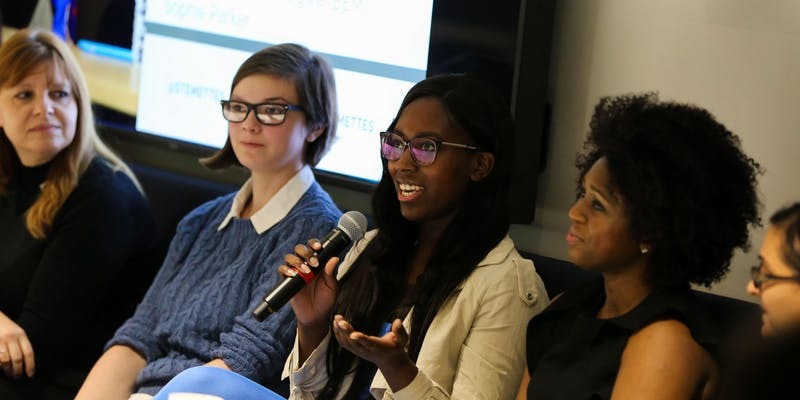 Meet the Stemettes @ NHS is a panel discussion, Stemettes style! All aimed at young women, we’ll discuss different ways people begin their Science, Technology, Engineering and Maths related careers. We’re hoping to explore apprenticeships, A-level choices, university degrees, work experience. You’ll be able to ask the panel questions, network between each other and enjoy free food!